Making a visit to Cavite or Cavite Province is like taking a walk to the most important part of Philippine history. This was the cradle or origin of the upheaval against Spain during their time of colonization in the 1800s. It belongs to the Calabarzon Region and consists of 17 municipalities and 6 premier cities in the southern coastal island of Luzon. The city of Kawit is where the nation’s freedom from Spain was initially proclaimed. It was in June 12, 1898 and on the balcony of the first Philippine president Emilio Aguinaldo’s house in Kawit where he officially waved the flag of a fully independent Philippines. The “Balcony of Freedom” was established when Gen. Emilio Aguinaldo rehabilitated his house and made available to the public in 1919. Do not miss making a tour to the historic Fort of San Felipe which was constructed by the Spaniards during the late 1600s. It was here when the Cavite Mutiny or where the revolt against Spain’s 300 year old rule began in 1872. This also served as the place where the execution of the 13 Cavite Martyrs was ruthlessly implemented. An alternate historic point in the town of Maragondon City imprints the site where Andres Bonifacio, the father of the Philippine Revolution, was first tried in a military court in 1897. It’s not fitting to go and plan a tour in Cavite Province from March to April on the grounds that it’s truly hot and more humid because it faces the coastal area of the Philippines. However if you plan to go to the shoreline and swim along its coastal waters, it’s alright and the weather is still tolerable. The months of June to September, is also not advisable because of the consistent presence of storms and heavy downpour which may deter any outdoor excursion plans. The ideal time to visit the province of Cavite is from the cold months of November up to February. The celebration of the Christmas season starts as early as November and the festive atmosphere, vivacious spirit of the people, and the comfortable cold breeze exists even after New Year’s Day. If you need to take in more about the life of an extravagant individual in the 1800's then this is a decent place for you! There's no costly extra charge and it’s open from Tuesdays to Sundays. You will understand that Filipinos are exceptionally canny, smart, indigenous and inventive concerning building houses. This place played a huge part in the Philippine history. A complete tour of the Aguinaldo Shrine takes about an hour and covers everything about the great leader, even the actual place of his tomb. The tour of his mansion includes climbing all the way to the highest level of the first president’s house where you can have a bird’s eye view of the city. It is an astounding presentation of perfectly preserved period furniture and antique artifacts that makes it worth the visit. Furthermore, it’s amusing to see all the concealed sections, secret entrance and exit doors that lead from one part of the house to another. You will be in awe of the sheer size of the hose and get more amused when you find out that it is equipped with its own bowling lane. To reach this attraction, you must take a mini bus coming from Baclaran in Paranaque, the main transport terminal of all vehicles that are bound to Cavite. Look for the one with the sign board that says, Cavite City and give specific instructions to the driver to drop you off at the Aguinaldo Shrine in Kawit. There is no entrance fee and you can get to explore the entire ancestral house of the first Philippine president up to the balcony of freedom. It is here where you can see the first flag that was waved by Philippine Military Gen. Emilio Aguinaldo. This top tourist attraction in Cavite is open from Tuesday until Sunday starting from 8:00 AM – 4:00 PM. It is a house made of wood and cement, and the staff and caretakers have constantly portrayed the chateau as an intelligent military strategist's home. The site is mandatory and centrally located. Top government authorities lead in raising the Philippine flag from its landmark balcony gallery every time the Independence Day is commemorated. You need to assault the peak of a mountain to reach the Bonifacio Shrine which is placed in Mt. Nagpatong, Maragondon, and Cavite City. But there are parts of the trail that are now also made accessible by vehicles. The Bonifacio Shrine has an air of melancholy and history where you can’t help but feel nostalgic. When you got to see this spot, you will feel a tinge of sadness once you have absorbed the true story behind Andres Bonifacio’s death and the hard time that he need to endure from childhood up to the administration of President and General Emilio Aguinaldo. The local townsfolk said that as of recently, it remains a secret of how he died together with his sibling Procopio. Some said that it was thru a sword and some said that he was hacked to death on the grounds that he was not able to stand any longer because of the extreme suffering and his frail body,. Until now his body is yet to be recovered. In honor of his great contribution to the nation as a revolutionary leader, a landmark was constructed to signify his importance in Philippine history. The admission fee is 20 pesos and another remarkable feature of this attraction is the artwork showing how “The Great Supremo” was placed on trial and persecution before he was executed. The active volcano is located in a 2 hour drive away from Manila and is accessible by motorway. It consists of a large volcano and a smaller volcano in the middle of the lake. The boat ride to the smaller volcano lying in the middle of the lake takes 30 minutes. The hike to the crater rim takes 30 minutes and is dusty, but worthwhile. There are also horse rides and the ideal observation deck where you can admire this scenic volcano is anywhere in Tagaytay City. It is an impressive and fascinating place. You can sail on boats across the lake to the island that will take you to the main crater of the active volcano, and there on the horses at the top of the crater there are nice views along the way and you can hire local porters to help you with your things or heavy backpacks. At the top of the city there are many good restaurants with magnificent breathtaking views of the volcano. You can have dinner in Josephine’s Restaurant which serves traditional Filipino food (Adobo, Kare-kare, Menudo, etc.) paired with ice cold green tea. If you are in Tagaytay, go down the street of the wood seller. There are lots of wonderful chairs, tables and fine furniture at great prices. The city is also dotted with fine dining places with all nature ambience and vegetarian food like; Sonia’s Garden, Ming’s Garden, etc. The locals, who can’t bear the heat in Manila during summer, prefer to go to Tagaytay because it is one of the highest points in the Philippines (after Baguio City) where cold weather can be experienced anytime of the year. If you want to have your prayers or wishes answered or need to express your deep Catholic devotion, a visit to the Pink Sister’s Convent or the Holy Spirit of Perpetual Adoration in Tagaytay is a must. The Sunday masses are usually crowded and flocked by its faithful devotees. It is open daily from 6:00 AM to 6:00 PM. The Sunday Holy Mass schedule is done twice, the first is at 7:00 AM and the second one is at 5:00 PM. Wishes must be written and dropped at the designated boxes beside the main altar. Rosaries, prayer devotions, religious books, and wafer cookies (made out of the communion hosts) prepared by the nuns can be bought at the adjacent souvenir shop of the church. The place is said to be miraculous and truly grants the prayer requests of those who firmly believe. The nearby Mahogany Market is the best place to find fresh and organically grown fruits and vegetables. Native rice cakes (suman, puto, espasol, etc) and delicacies are also made available, but it is most famous for its rich and delightful serving of steaming hot Bulalo (beef bone marrow soup) and the crispy fried Tawilis (a local fish) served with steamed rice and a great view of the famous Taal Volcano in the background. The Puzzle Mansion is owned by the woman who has collected a vast number of Jigsaw Puzzles that she has completed and considered a masterpiece. After passing through a steep road to reach this place, you will arrive at an exhibition hall full jigsaw puzzle, a collection that will consume one hour to appreciate. The admission fee is 100 pesos and the most noteworthy and impressive piece is the puzzle of Taisei. There is also a shuttle service that will bring you back to the bus terminal for your convenience if you don’t have a vehicle. Do not forget to buy a box of their delicious and famous coconut cream pie; it is another great reason to visit this attraction in Tagaytay City. The Peoples Park In The Sky is at the highest point of Tagaytay. As you stroll along this old structure, you can feel like clouds just fly 5 meters above your head because of its steep location. It is said that early in the morning clouds descend on the hilly portion of the park. By the way, you can go to the top after passing a serpentine road that goes on for 20 to 30 minutes but do not let that scare. You will not regret it. The view from the very top of the island offers a really great panorama without any exaggeration. Visible nearby is the Taal Lake, Taal Volcano and other islands. There are parts of the observation deck without a fence so be very careful and the old park is not well maintained but it is still worth seeing. After a visit you can shop for souvenirs and sweets at the stalls located near the parking lot of the park. The Picnic Grove is the ideal place to go if you want to have a closer look of the Taal Volcano. 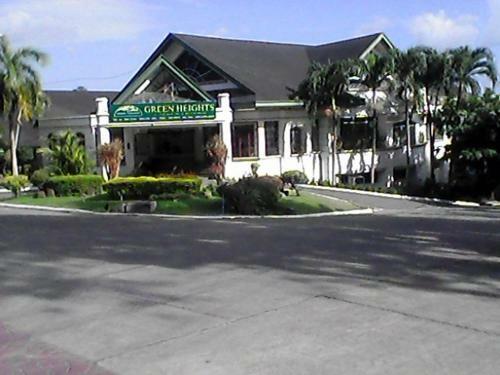 The row of camp tents (for rent) with tables, chairs, and BBQ grills is situated on the hilly portion of Tagaytay. It has complete park infrastructure (toilets, washroom, and sinks with clean water) and you can spend a whole day enjoying the scenes or trying out the adventures inside this recreational complex like; the Zip Line (where you can have a good aerial view of the pineapple fields), Horseback riding, and a small family pool. There are food stalls and souvenir shop, potted plants, herb garden, and it’s a cool and comfortable place if you want to enjoy the view of Taal Lake. The Sky Ranch is an open –air theme park that is not quite big but has an interesting Ferris Wheel that offers a great view of the Taal Volcano from its highest vantage point amid a freezing cold atmosphere. However, there is not much to do here right now and it is still currently being developed. It is one of the latest attractions that were put up on this side of Tagaytay that is deigned for families who need to stroll, have fun, and visit the nearest getaway place in Manila. Salads and herbs freshly picked from their garden, great food and all nature ambience makes Antonio’s Garden Restaurant definitely worth seeing and an ideal place to dine for romantic couples and family weekend treats. The garden is neat, impressive, the staffs are very attentive and the overall service is perfect. You can come there on an average day lunch there and everything works perfectly. It is a practical option if you are in the area. Upon entrance you can stroll down the stone laced pathways, and you’ll immediately feel your worries take a backseat and your mind conditioned that you will be having a good massage because of the staffs warm welcome and the neat appearance of the spa complex. You can walk past the swimming pool; numerous spa chalets sprawled all throughout the complex, play ground for kids, and the most stunning foot spa areas, which are all relaxing and so calm. The massages are truly relaxing as hey make use of heated or wilted banana leaves which is something unique and extra ordinary holistic approach to wellness and nurturing for one’s tired body and soul. The rooms are equally relaxing and the massage therapists are all professional and aware of what they are doing. After the relaxing massage, they also offer an invigorating hot tea or coffee. The offered meal is equally impressive. A menu of fish, chicken, and vegetables are all served in an exquisite and fancy way that will make you feel nourished and well-rested. If you are in Cavite and need a good massage, do not hesitate to come and visit the Nurture Wellness Village. 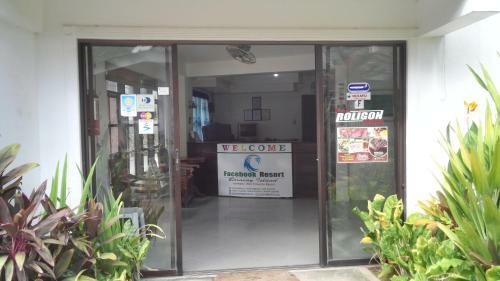 The tourist spot of Puerto Azul Beach Resort is a few kilometers away from the major highway. However, what lies ahead is a delightful shoreline. The spot offers dark sand, wide shoreline front, an expansive kiddie pool and a substantial grown-up pool. There's additionally a green natural forest that is adjacent to the shoreline. There is also a golf course located along its premises. The food here is great and the servers are good and acts fast. Beside the conveniences, they likewise provide a live band that entertains guests while they are resting and taking their lunch. If you plan on having events or seminars in their complex, they can provide for an events host and coordinator to make sure you’ll have a worry free conference or party in their respective resort. Since it is situated near the sea, majority of Cavite’s cuisine involves the use of fresh seafood like; fish, mussels, oysters, crab, etc. The province is also home for the best Halo-Halo (a refreshing cold beverage made with shaved ice and preserved fruits in the town of Digman, Bacoor City). Cavite is likewise a gastronomical haven for the certified foodie. Here, the special tamales are loaded with chicken, pork, egg, and chickpeas. Pancit (a noodle dish) Pusit incorporates the use of squid’s ink while the equally famous Pansit Puso is made out of the sautéed blossom of the Banana tree. Cavite Province is also known for its baked Cassava cakes, and the home grown coffee beans in Alfonso.